As you know if has been a close election this year. Malcolm Turnbul’s decision to call a double dissolution election backfired dramatically cost his party a number of seats and ushering in a number of far-right candidates. Postal and absentee votes inched Malcolm Turnbull towards a narrow election win. The coalition is projected to win 72 seats with Labour on 66 and others on five. Seven of them are too close to call. The result could be days away. Despite this it hasn’t caused much uncertainty in the markets. Seems like they have other things to think about. AUD was strongest currency yesterday. It just seems to bounce back every time. The good thing is that its relatively good value has kept the price of EVA interlocking jigsaw mats low. Customers all around Australia are enjoying unprecedented good value when it comes to their training mats. 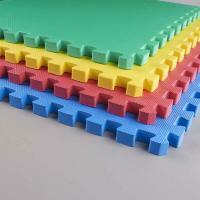 Ezy Mats has ensured a competitive market for foam jigsaw mats in the Australian market.